Pawsitive Impressions: Grab 'n' Go Automatic Carryout is Making an Impression on Neighbors! Grab 'n' Go Automatic Carryout is Making an Impression on Neighbors! Hey! I just had to share this today! I was visiting your Mobile, Alabama location and it just warmed my heart to see how excellent your customer service was! I asked if I could take a photo and they both said yes. I think his name tag said Coedy on it. While leaving, I saw this employee carrying a big bag of dog food out for another customer! Two thumbs up for having great employees! My girlfriend and I were in the store last night and just wanted to say the people were went out of their way to be helpful and cool. You have a good staff. People are always too ready to complain, so I wanted to counter that trend and say that Heather treated us like we were long lost friends. We were looking up info on on phone about the flea drops. She was giving us more info than we were finding on line. The guy working that night grabbed our cart and loaded in the bags of cat food. The girlfriend and I are able bodies people so it wasn't like we're old or infirm, he did it just to be cool. I just wanted to make sure that they get some recognition for being cool people and making the shopping experience go from a chore to an enjoyable experience. 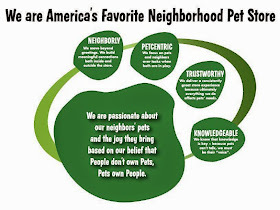 We love our local PSP, we get all our pet supplies from there and it’s always a great experience! Black Friday shopping there this morning was no exception! We were happily greeted by everyone working, they hand-delivered a sale ad to us, and then showed us to a table with DD coffee and donuts! One of the girls helped load our purchases in the car. They’re all great pet people and really made us feel special. Portage, Indiana Pet Supplies Plus is the best!